I forgot to mention my other activity from Friday. 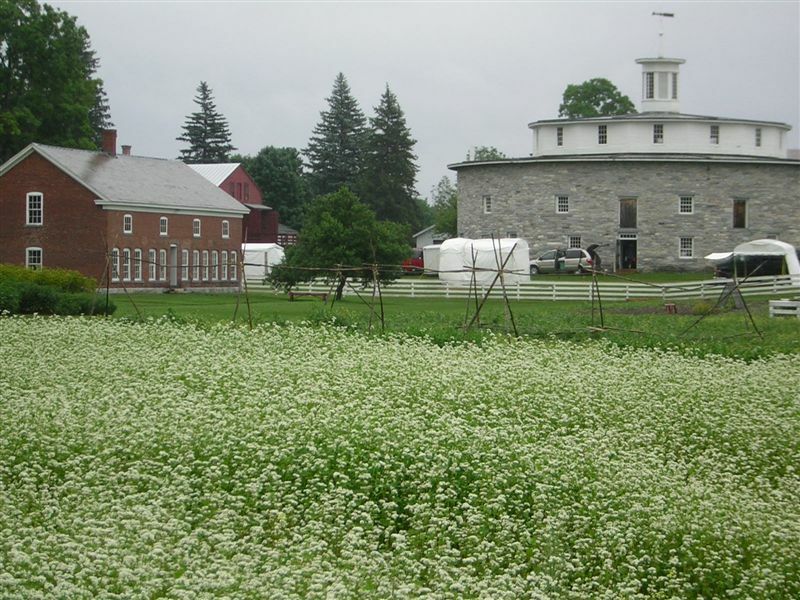 After putting in a morning’s work, I drove from Pittsfield due west on Rt 20 to the Hancock Shaker Village. The village, which was active from the 19th century during Mother Ann’s Work through 1959, still has almost all its original buildings, plus furniture and fixtures. It was pouring on Friday, so I wasn’t able to spend as much time as I wanted, but I got some good photos (posted, for the sake of trying something new, at Flickr). An unfailingly practical people, the Shakers: similar in some ways to the Amish, the other outsider community with whom I have strong family ties, but vastly dissimilar in others. The adoption of electricity, for instance: the Shakers diverted a creek to power a turbine and were the first folks with electricity in Berkshire County.